Hands On Bike: Part 2: Cheap Bikes vs Premium Bikes: What is the Difference? Part 2: Cheap Bikes vs Premium Bikes: What is the Difference? 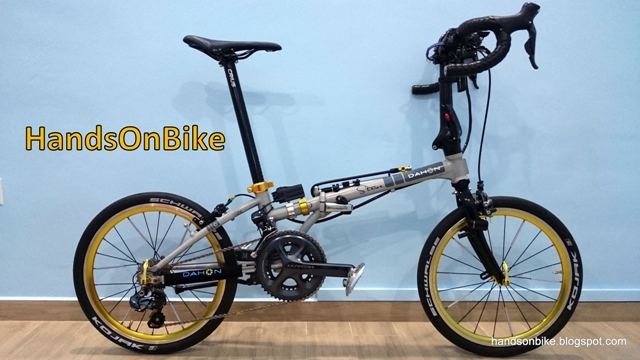 Continuing from Part 1 of this article, where the frame and fork of the folding bikes were discussed, let us now take a closer look at the frame materials. Comparing the hi-tensile steel used for the Aleoca R2R and the 7005 Aluminium used for the Dahon MuP8, there are also differences in the manufacturing methods used to make the frame tubes. Hi-Tensile steel is usually drawn with a straight gauge, meaning that when the frame tubes are formed, they are of equal wall thickness throughout the length of the tube. The reason for this is usually because it is easier and faster to make a straight gauge tube. This gives equal strength along the entire tube. 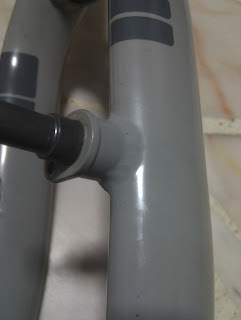 However, the higher stressed parts are only at the ends, where they are joined to the other parts of the frame, such as the head tube, seat tube etc. 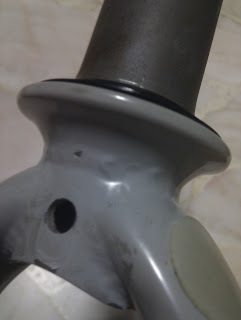 This means that the centre portion of the frame tubes are unnecessarily strong, which add to the weight. 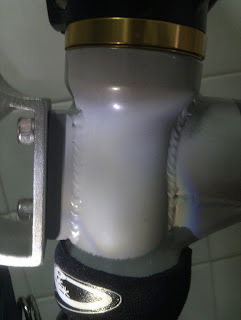 The 7005 aluminium that is used for the Dahon MuP8 is double butted, which means that the walls are thicker and stronger at the ends, and thinner in the middle. 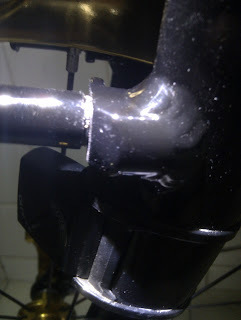 By doing so, there will not be extra material used for the frame tube, which leads to weight savings. 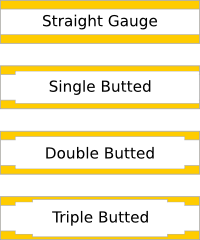 This variation in thickness drives up the manufacturing cost and the time required to make the double butted tubings. Another interesting detail about the frame of the MuP8 is that it is not a circular or oval shape, but rather a special cross-sectional shape that Dahon calls "Sonus". This shape is supposedly stiffer, both vertically and horizontally when compared to the usual oval tubes. At this point, you might want to conclude that "aluminium is good, steel is bad". However this statement is not true! There are many different types of steel, some of which are actually well suited for building bicycles. Some of the best steel alloys that are used for bike frames would be Chromoly steel and Reynolds steel. To avoid going off topic, I shall not go into details here! Bonus Question: How to tell the difference between a steel frame and an aluminium frame? Note: The steel here refers to the types of steel commonly used for bike frames, such as hi-tensile steel or chromoly steel. Not some special non-magnetic steel. The most obvious answer would be to check the frame for rust! If there is reddish-brown rust, it is definitely steel. Another way would be to use a magnet to check the frame. 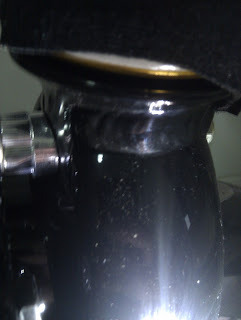 However, it is not foolproof as there are also other less common frame materials such as stainless steel or titanium. In this case you will have to look at the diameter of the tubing for more guidance. The sizes may be subjective, and experience would be required to determine whether it is a "small" or "large" diameter. A) Small diameter (1 to 1.5 inch), sticks to magnet - Definitely steel. B) Small diameter, does not stick to magnet - Definitely not aluminium, likely to be stainless steel or titanium. C) Large diameter (>1.5 inch? 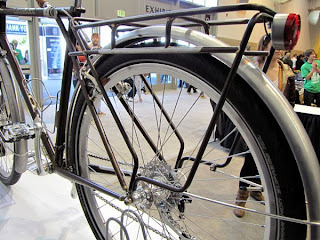 ), sticks to magnet - Overweight steel bicycle! *Note: This is just a general guideline! Most of the time, it should be correct, but then again there will be exceptions. The third way would be to perform a visual check on the weld joints! 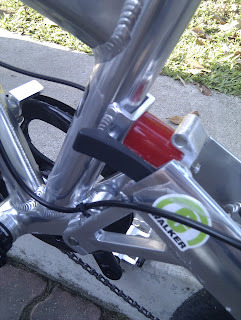 This is actually a very easy way to see if the frame/fork is made of steel or aluminium. No magnet required! Black aluminium fork on the left, Grey steel fork on the right. Take a closer look at the welding! It may not be very obvious from the pictures, but if you look at an actual bike, you will see that the welds for the aluminium frame/fork will be much larger than the steel frame/fork. 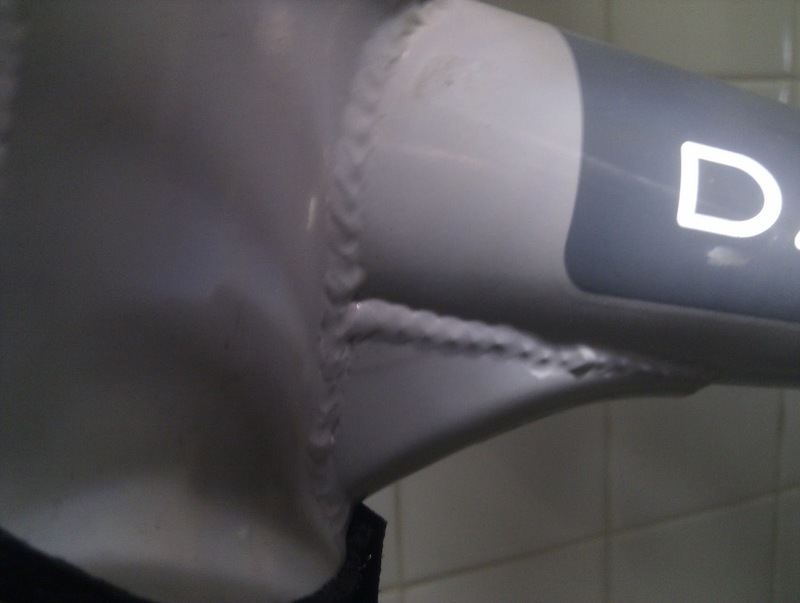 When welding aluminium, what you will get is thick, overlapping folds along the welded joint, somewhat similar to fish scales. On the other hand, when steel is welded, the welds are much smaller and closer together. Steel welds on my Dahon Boardwalk TT! There may be exceptions to this, such as on some Tyrell or Tern bikes, where the aluminium welds are sanded down and polished to give it a much more refined look. And with this, the comparison of the frame & fork for the Aleoca R2R and the Dahon MuP8 is complete. Hopefully, we will now have a better understanding of the different frame materials and some of the reasons why a premium bike costs more. This Part 2 of the article is getting too long! Will have to compare and discuss the contacts points of the bike and the steering system in the next part instead. Itutuloy! Very nice Ariticle, i like it. Great Review! Extremely detailed, thanks for putting the time into it! Thanks for making the effort to write these articles. They are really useful and easily understandable for bike noobs like me. can i get these cheap bikes from bike discount store in the UK?